"It’s crazy to think I’ve spent the last decade of my life running around stage like a maniac, while wearing a bunny mask. Literally crazy. Still, I wouldn’t trade it for the world. Thank you, old and new fans alike, for supporting us throughout this adventure. We can’t wait to share everything we’ve been working on. 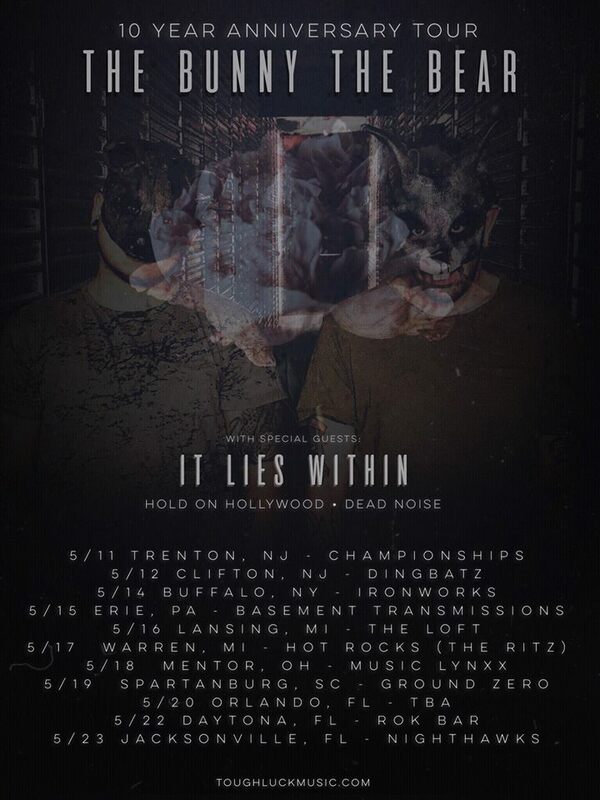 In the mean time... We’re excited to be hitting the road in May with our buddies in It Lies Within, as well as the dudes in Hold On Hollywood and Dead Noise. 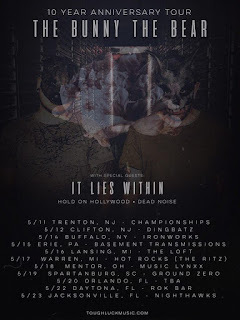 Trust us, you DO NOT want to miss these shows! Once again, Thank for all of the love and support! We’ll see you soon!" They will be joined with It Lies Within, Hold On Hollywood and Dead Noise. Check out the dates embedded within the tour poster above.